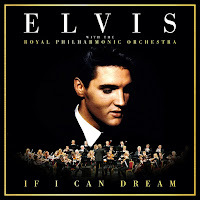 Discussions Magazine Music Blog: ELVIS PRESLEY with The Royal Philharmonic Orchestra: SPAZ reviews If I Can Dream! 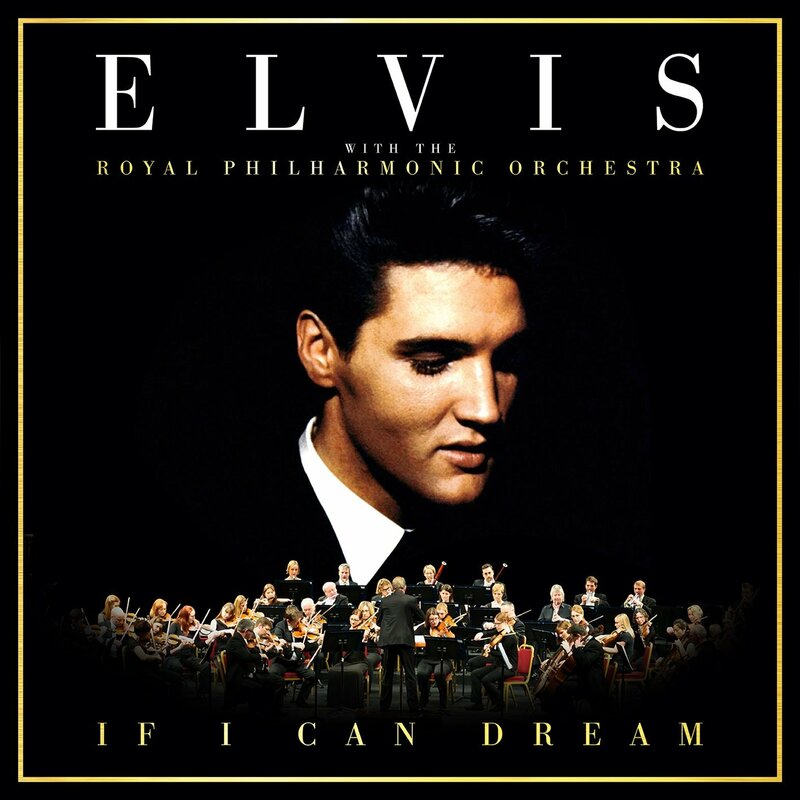 ELVIS PRESLEY with The Royal Philharmonic Orchestra: SPAZ reviews If I Can Dream! Just a few weeks before the world rejoiced over the release of Beatles 1+ (with remastered videos and remixed audio tracks), Elvis Presley’s If I Can Dream was issued to a lot less fanfare. It is no coincidence that both were released just before the holidays and while both will generate money for the artists and their estates, this particular Elvis release has received some very harsh and unwarranted criticism. On one hand, yes, it does seem like a money-grab by those who are supposed to be preserving Elvis’ legacy instead of cheapening it. On the other hand, any release that could possibly introduce Elvis to a new generation of fans is a good thing. A release like this stirs up interest and if a new listener likes what they hear, then that opens the door to a magical back catalog filled with some great records. Not a bad thing if you ask me! On If I I Can Dream, 14 of Elvis’ recordings have been given a facelift with some of the original instrumentation removed/re-tracked with the addition of the Royal Philharmonic Orchestra. 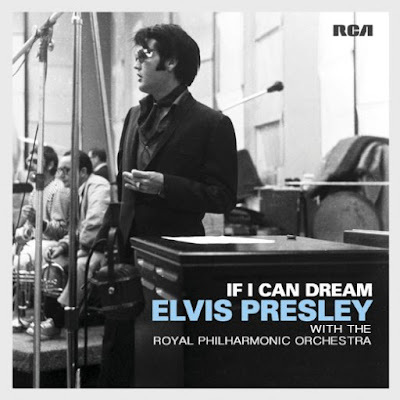 This isn’t the first time they’ve messed with Elvis’ original recordings (they’ve been doing it since his death in ’77) but this might be the RCA’s most ‘epic’ Elvis musical undertaking yet. Elvis’ original vocalists are, for the most part, intact and lifted from the hit versions rather than using previously unreleased alternate takes. I believe this decision works because the songs feel familiar while still sounding fresh and new. The gamble doesn’t always pay off on upbeat songs like “Steamroller Blues”, although album opener “Burning Love” is quite nifty. But on the ballads? Those are the songs that will wrap themselves around you like a warm blanket on a cold night – “Love Me Tender,” “Can’t Help Falling In Love,” “An American Trilogy,” “There’s Always Me” and “Bridge Over Troubled Water” will certainly give you the feels. “And The Grass Won’t Pay No Mind” – the Neil Diamond-penned obscurity – is particularly effective here. I’ve never been a fan of the officially released version (there are some good outtakes out there, though) but this is definitive version in my book. And then there is the title track… it was a stunner before and remains that way here. And a very solid end to a batch of songs that will irk some but thrill those who believe in the magic of Elvis. Like me. Oh, and notice how I didn’t mention the ‘duet’ with Michael Buble on “Fever”? Yeah, I’ll leave it at that. For those of you who haven't read it yet, you can read my beginner's overview of ELVIS's career HERE! and and Joe guercio must be devastated as I am from being a life long fan I bought the albums out of loyalty but please go back to the drawing boards the man deserves more respect! PS if the original vocal for a little less conversation had been usedone it wouldn't have had the same impact as the one that was used!